Mike Verhoef (Fly Fitters Guided Fishing Adventures) takes us right to the beginning to educate us on Fly fishing. In this part of the series he will be teaching us the principals of a basic Fly Fishing cast. 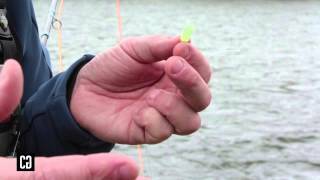 Mike Verhoef shows us one of his favorite knots to tie on flies he uses for retrieval. This loop knot is very effective in allowing the fly to have greater freedom of movement in the water for to attract your next catch. 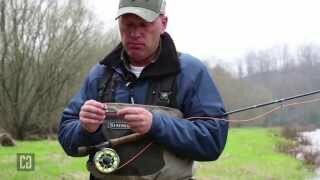 Mike Verhoef (Fly Fitters Guided Fishing Adventures) takes us right to the beginning to educate us on Fly fishing with this simple but informative video on how to assemble a Fly fishing rod. Fly fishing is an art that takes a lot of practice, time and education. There are many Anglers out there that want to learn about fly fishing and where to start. 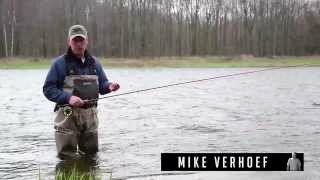 This series is dedicated to educating and teaching you about fly fishing through quick and informative videos. 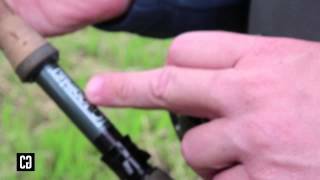 Mike Verhoef (Fly Fitters Guided Fishing Adventures) takes us right to the beginning to educate us on Fly fishing with this simple but informative video on how to disassemble assemble a Fly fishing rod. Taro Murata rarely gets a day off to fish one of the many beautiful Ontario lakes that he grew up canoe angling on as a kid. This time it became a reality when our cameraman, decided he could use a bit of fun fishing himself on his favorite local lake. Realizing the fish on this shoreline didn't want the jig on the bottom, Taro opted to let the craw hover and it quite simply made it irresistible to these fish hiding along this weed line. 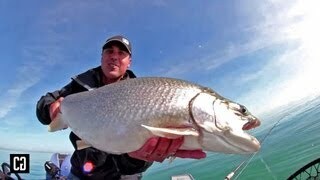 Heavy bass tackle, light hands, this is the "Power Shotting" Taro style. The camera missed a few earlier fish but we managed to capture this! There is no comparison between a high performance downrigger and the poor man's downrigger which Paul Castellano fishes here, however they both do catch fish. In future we will show you how effective real downrigging can be, but if you're in a pinch to catch those fish that are deeper, you might opt for this simple solution. 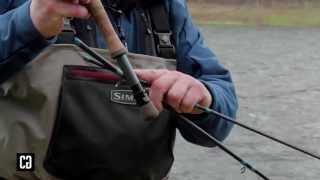 When fishing rivers in early spring and the water is cold try this technique for smallmouth bass. Simple but effective it triggers fish into striking when they may other wise chose not to eat! 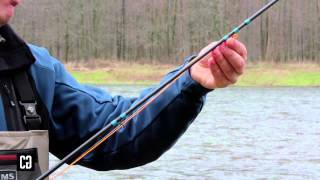 Casting and ripping blade baits mimics dying baitfish and drives bass crazy! Taro Murata from Fish City Tours heads out in search of Mid December suspended Walleye in some extreme fishing conditions. 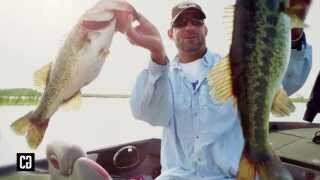 Former FLW Pro Kevin Long from Longcast Guide Service walks us through how to properly fish Wild Golden Shiners for Largemouth Bass on Lake Okeechobee Florida. Copyright © Charter and Guide 2013. All Rights Reserved.